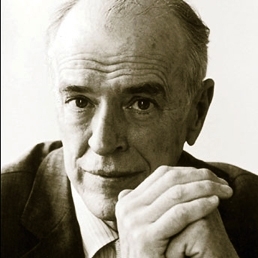 William Maxwell, who died on July 31, 2000, at the age of 91, was a fiction editor at The New Yorker for forty years. He was regarded as the best editor of short fiction in the business. He edited Vladimir Nabokov, J.D. Salinger, John Cheever, and many other great writers. He was also a deeply respected writer himself. Alec Wilkinson, of The New Yorker, once said, "As remarkable as his stature as an editor is, I think he's a much better writer." His 1980 novel, So Long, See You Tomorrow, won the American Book Award (now called the National Book Award). The following is from an article Alec Wilkinson wrote about Maxwell called "An American Original." It was published in the Dec. 27, 1999, & Jan. 3, 2000, double issue of The New Yorker. In presenting to Maxwell in 1995 the Gold Medal for Fiction of the American Academy of Arts and Letters -- the body's highest award, which is given only every six years -- Joseph Mitchell said, "William Maxwell's principal theme, like James Joyce's, is the sadness that often exists at the heart of a family.... He is as aware as any novelist who ever lived of what human beings are capable of." Maxwell's prose is precise and understated. His stories and novels are meticulously crafted; sentences, he says, are moved around until they stick. Even so, the finished work is without any self-consciousness or sign of effort. He never strives for effect. He never performs what he used to describe scornfully to me as pirouettes on the page. Mitchell also said, "Nevertheless, in his pages one often reads with surprise descriptions and observations that seem truer and more revealing and more powerful and more memorable and more shocking than the deliberately shocking scenes and observations found in the pages of many of his contemporaries." As for how other writers regarded his opinion, when J.D. Salinger finished writing "Catcher in the Rye," he drove to the Maxwells' house in the country and in the course of an afternoon and evening read it to them on their porch. The following essay was originally published in 1997 in The New York Times Magazine. It was included in The Best American Essays 1998. Out of the corner of my eye I see my ninetieth birthday approaching. It is one year and six months away. How long after that will I be the person I am now? I don't yet need a cane, but I have a feeling that my table manners have deteriorated. My posture is what you would expect of someone addicted to sitting in front of a typewriter, but it was always that way. "Stand up straight," my father would say to me. "You're all bent over like an old man." It didn't bother me then and it doesn't now, though I agree that an erect carriage is a pleasure to see, in someone of any age. I have regrets but there are not very many of them and, fortunately, I forget what they are. I forget names, too, but it is not yet serious. What I am trying to remember and can't, quite often my wife will remember. And vice versa. She is in and out during the day, but I know she will be home when evening comes, and so I am never lonely. Long ago, a neighbor in the country, looking at our flower garden, said, "Children and roses reflect their care." This is true of the very old as well. Though there have been a great many changes in the world since I came into it on August 16, 1908, I try not to deplore. It is not constructive and there is no point in discouraging the young by invidious comparisons with the way things used to be. I am not -- I think I am not -- afraid of dying. When I was seventeen I worked on a farm in southern Wisconsin, near Portage. It was no ordinary farm and not much serious farming was done there, but it had the look of a place that had been lived in, and loved, for a good long time. I was no more energetic than most adolescents, but the family forgave my failures and shortcomings and simply took me in, let me be one of them. The farm had come down in the family through several generations, from the man who had pioneered it to a woman who was so alive that everything and everybody seemed to revolve around her personality. She lived well into her nineties and then one day told her oldest daughter that she didn't want to live anymore, that she was tired. Though I was not present but only heard about it in a letter, this remark reconciled me to my own inevitable extinction. I could believe that enough is enough. One must also, if possible, reconcile oneself to life. To horrors (the number of legless peasants in Cambodia) that if you allowed yourself to think about them more than briefly would turn your heart to stone. Before I am ready to call it quits, I would like to reread every book I have ever deeply enjoyed, beginning with Jane Austen and Isaac Babel and Sybille Bedford's The Sudden View and going through shelf after shelf of bookcases until I arrive at the autobiographies of William Butler Yeats. As it is, I read a great deal of the time. I am harder to please, though. I see flaws in masterpieces. Conrad indulging in rhetoric when he would do better to get on with it. I would read all day long and well into the night if there were no other claims on my time. Appointments with doctors, with the dentist. The monthly bank statement. Income tax returns. And because I don't want to turn into a monster, people. Afternoon tea with X, dinner with the Y's. Our social life would be a good deal more active than it is if more than half of those I care about hadn't passed over to the other side. However, I remember them. I remember them more, and more vividly, the older I get. I did not wholly escape the amnesia that overtakes children around the age of six, but I carried along with me more of my childhood than, I think, most people do. Once, after dinner, my father hitched up the horse and took my mother and me for a sleigh ride. The winter stars were very bright. The sleigh bells made a lovely sound. I was bundled up to the nose, between my father and mother, where nothing, not even the cold, could get at me. The very perfection of happiness. At something like the same age, I went for a ride, again with my father and mother, on a riverboat at Havana, Illinois. It was a sidewheeler and the decks were screened, I suppose as protection against the mosquitoes. Across eight decades the name of the steamboat comes back to me -- the Eastland -- bringing with it the context of disaster. A year later, at the dock in Chicago, too many of the passengers crowded on one side of the boat, waving goodbye, and it rolled over and sank. Trapped by the screens everywhere, a great many people lost their lives. The fact that I had been on this very steamboat, that I had escaped from a watery grave, I continued to remember all through my childhood. I have liked remembering almost as much as I have liked living. But now it is different, I have to be careful. I can ruin a night's sleep by suddenly, in the dark, thinking about some particular time in my life. Before I can stop myself, it is as if I had driven a mineshaft down through layers and layers of the past and must explore, relive, remember, reconsider, until daylight delivers me. I have not forgotten the pleasure, when our children were very young, of hoisting them onto my shoulders when their legs gave out. Of reading to them at bedtime. Of studying their beautiful faces. Of feeling responsible for their physical safety. But that was more than thirty years ago. I admire the way that, as adults, they have taken hold of life, and I am glad that they are not materialistic, but there is little or nothing I can do for them at this point, except write a little fable to put in their Christmas stocking. Our grandchild is too young to respond to any beguiling but his mother and father's. It will be touch and go whether I live long enough for us to enjoy being in each other's company. "Are you writing?" people ask -- out of politeness, undoubtedly. And I say, "Nothing very much." The truth but not the whole truth -- which is that I seem to have lost touch with the place that stories and novels come from. I have no idea why. I still like making sentences. Every now and then, in my waking moments, and especially when I am in the country, I stand and look hard at everything. This Fresh Air interview with Alec Wilkinson begins with a 1995 interview with Maxwell.